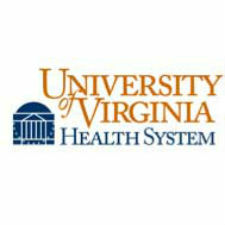 National healthcare publication Becker’s Hospital Review has named the University of Virginia Cancer Center at UVA Medical Center to its 2018 list of 100 hospitals and health systems with great oncology programs. This is the sixth consecutive year UVA has been recognized by Becker’s for quality care, and UVA is the only health system in Virginia named to the 2018 list. Thomas P. Loughran Jr., MD, director of the UVA Cancer Center, said the honor recognizes the comprehensive work of UVA care providers and researchers to provide high-quality care to patients while also seeking better treatments through research and clinical trials. “Our team members – whether they are in a research lab or at a patient’s bedside – are always looking for ways to improve the care our patients receive,” he said. Becker’s highlighted UVA’s top-50 ranking for cancer care in U.S. News & World Report’s 2018-2019 “Best Hospitals” guide while also noting UVA’s deep commitment to research. The publication cited UVA’s $20.4 million in research funding from the National Institutes of Cancer in 2018 along with its membership in the Oncology Research Information Exchange Network (ORIEN), a national cancer research network with goals including more personalized care for patients with cancer.